In the past four years Live From The Divide has hosted over 250 bands and produced over 140 hours of programming for public radio. We've also been able to establish weekly programming with stations in Montana, Idaho, North Dakota, Colorado and New Mexico. As we head into season four we are asking for your support. 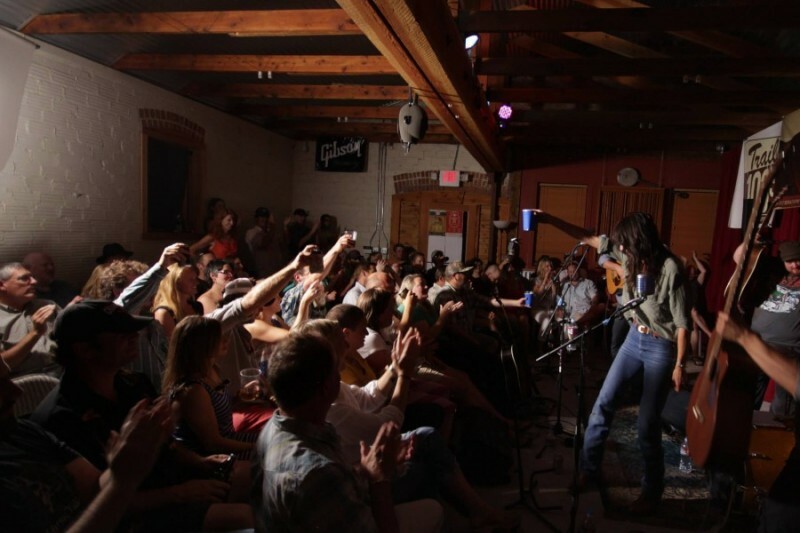 With your financial contribution we can continue to produce FREE content for public radio and bring world class talent to our intimate 50 seat venue in Bozeman, MT. Money will be used for the production of our independently produced public radio program and for general maintenance of the venue/production studio. We are incredibly grateful to everyone who has suppported us over the years by attending shows, contributing to our kickstarter campaign and lending their resources. On a more personal note creators & producers Doc Wiley and Jason Wickens would like to thank everyone for their patronage! Excited to launch into our Spring Concert Series! Thank you so much for supporting public radio and live music.